I started this blog in May of 2014, mainly because my sister Megan had to start a blog for school, and it looked so fun that I made one too. I’ve loved blogging ever since, and I never want to stop. As you can probably tell from its title, this is a lifestyle blog. I mainly post about photography, adventures on the farm, art, and writing, but if something else interesting pops up, I’ll probably stick that in too! I hope my blog can shine a little ray of sunshine into your inbox and into your day. 🙂 I write posts to bring myself and you guys joy, but most importantly, to bring God glory. If you have a suggestion for how to improve my blog, I’d love to hear it! 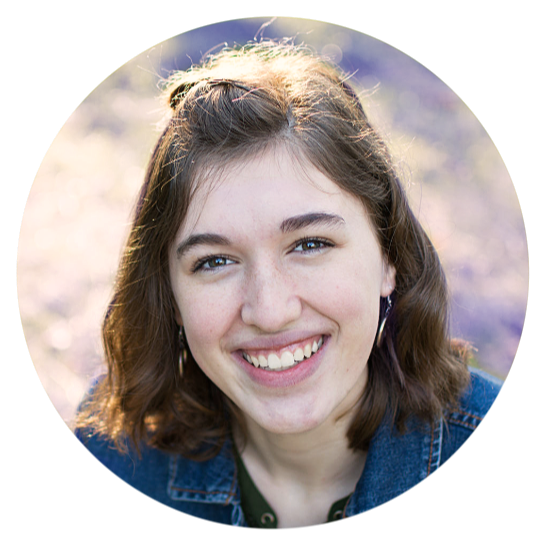 I’m an 18-year-old Christian, artist, photographer, reader, crafter, and blogger. I also enjoy playing piano, baking, writing, and just creating things in general. 🙂 I live on a farm (wow, really? XD) in Eastern U. S. A. with my amazing family and a collection of pets. 7. Some things I love: stars, sunsets, sunny days, and fog; succulents; watercolor; the book of Psalms (and the whole Bible, of course); NEEEDTOBREATHE, Switchfoot, and TobyMac’s music; dew drops; pen pals and handwritten letters; wide open spaces and rolling hills and mountains; wildflowers; rabbits; bluebirds; washi tape; dark chocolate; fruit of all kinds; a beautiful copy of a good book; cameras; the beach; little gifts; mint tea; the smell of honeysuckle; friendly debates; eyes; and pretty fonts. 9. I hum and sing a LOT. In fact, I’m humming a made-up tune as I write. 🙂 I learned piano for 9 years, and I still enjoy playing it although I no longer take lessons. I never really had recitals, but I did play for our old church a several times. My favorite things to play are hymns and classical music. 10. I quite enjoy games in general and word games in particular – especially UpWords (which is like Scrabble but 5X better 😀 ). I’m really good at spelling and hate grammar errors and typos, but WHOA THERE, stop glaring at me! I still make mistakes. 😛 I use parentheses and emojis a lot, as you probably noticed. I have a large vocabulary, but I don’t use it in everyday conversation that much since I think it sounds weird and stuck-up. It comes out more when I write things other than, say, blog posts and emails. 13. I went to private school through third grade, and was homeschooled from 4th-12th. They were both great experiences, but I want to homeschool my kids. 🙂 I just finished school in June 2018 and OH MY, it feels so strange! And yes, I know you’re wondering what my plans are now. XD I don’t plan to go to college since I don’t think I’ll need a degree, but I may end up taking a few classes. As for a job, I run two Etsy shops: Wee Little Crafts, where I sell polymer clay creations, and The Color Box Studio, where I sell my art. I’m hoping to put more work into them, particularly my art shop, and make it into a real business now that I’m out of school. I will read pretty much anything, from The Boxcar Children to War & Peace (and yes, I’ve read both of those). I constantly edit the things I read in my head, which is rather annoying, but… I love classics and have read a bunch of them. 17. Strangely enough, seeing how I’m a farm girl, I prefer to be inside. I’m not the best at hard physical labor, and I enjoy housework. You can often find me in my studio (picture above), making art, writing letters to pen pals, reading, or doing stuff on the computer. However, I LOVE nature, and one of my favorite things to do is explore the farm with my family. I also like hiking, swimming, and fishing. I’m great at running really fast for short distances, but I am AWFUL at endurance running. 18. Lastly but definitely not least, I believe in the Father, the Son, and the Holy Spirit. I believe we are all sinners, in desperate need of God’s grace, and that we can be saved by trusting in Jesus for salvation, by faith alone. I believe that even our best efforts can’t save us, but rather that good works flow from true Christianity and a desire to please and glorify God. Thanks for stopping by, and I hope you’ll take off your shoes and stay a while! Have a lovely day, dear! I loved reading your “about me” page! We like, have a lot in common!!! 🙂 Country living is the best! I love reading, writing, artsy things, etc. Can’t wait to read more of your blog! Whoa, that’s crazy! Well hi there! *shakes hand* 😀 I know, right? I love that too! 👋🏼 Hello to my new blogger friend! Cool! Have you taken the Meyers-Briggs test? If so, what was your result? Good question. Um… I don’t remember all of them, but I usually get IN something… XD Maybe INTJ and INFJ, but then Mom looked and thought I was something like ISFJ or… I HAVE NO CLUE. XD XD Honestly the letters just kind of go over my head and I forget what they were since I don’t think they’re that accurate. XD Wow, you got TONS of different results! Hee hee, me too! HEY, YOU DIDN’T TELL ME YOU WERE CHANGING THINGS UP! I love the new header, though! Hee hee, I DIDN’T, DID I? But thanks! How does it look now? Heh heh, I DID! Well, actually I edited it before, the first time I put it up, since it was kind of blurry the way I downloaded it. But GOOD. Huh, that’s strange. ANYWAY, YAY, THE WHOLE WEBSITE LOOKS GREAT NOW! Okay, good suggestion! I think I might take a portion of the haybale illustration from the header. Hi! I just found your blog. This is BEAUTIFUL!!! Thank you for the work you put into this and how you honor God while doing it. I also live on a farm and can relate with what you do! This is such a fun place! Love your blog! I am tall and love books too. Aww, thank you so much! ❤ ❤ It's nice to "meet" you, Jovi!